This is where I saved my money. It's nothing to be proud of but it had everything I needed and nothing more. 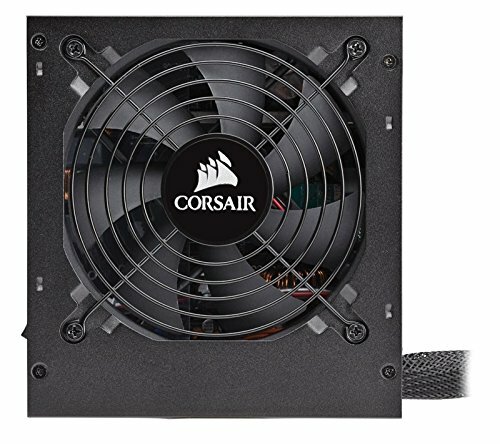 Easy to use PSU. Nothing much more I can say. This is a great buy for a simple rig. Cable extensions help a lot but not needed. The included cables are a bit stiff but the power is good. It does what it has to and it won't be pushed to the max so efficiency isn't that big of an issue. Love the modular cables on it. Excellent PSU. The semi-modular design is well laid out. The cables are high quality. It runs silently. Excellent! 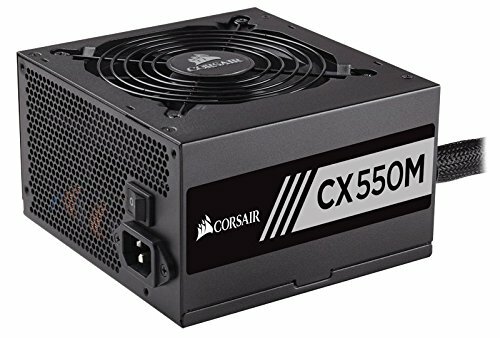 Hey, it powers my computer well and doesn't blow up, everything I could ask for in a power supply. The CPU and motherboard power cables are the only things not modular, but everyone needs them anyways. It works well and very quietly, yet it still has one of the lower price tags as far as bronze efficiency ratings go. It's probably the best option for a high quality power supply for anyone who doesn't need more than 550W of power. I got it on sale, and I am glad I bought it. Being semi-modular has a lot of pluses over a non modular PSU. It is relatively quiet and has not let me down.